KGK Group will invest $50 million in the venture in the Russian Far East. The KGK Group of companies has announced plans to open a diamond-cutting enterprise in the Vladivostok Free Port zone in Primorye Territory. The $50 million investment was announced during the visit of the Russian Deputy Prime Minister and Presidential Envoy to the Russian Far East Yuri Trutnev to India last week, the Primorye government said on March 17 in a press release. In India, Trutnev met KGK President Navrattan Kothari. The Russian deputy PM gave KGK a certificate of a residence of the Free Port of Vladivostok. 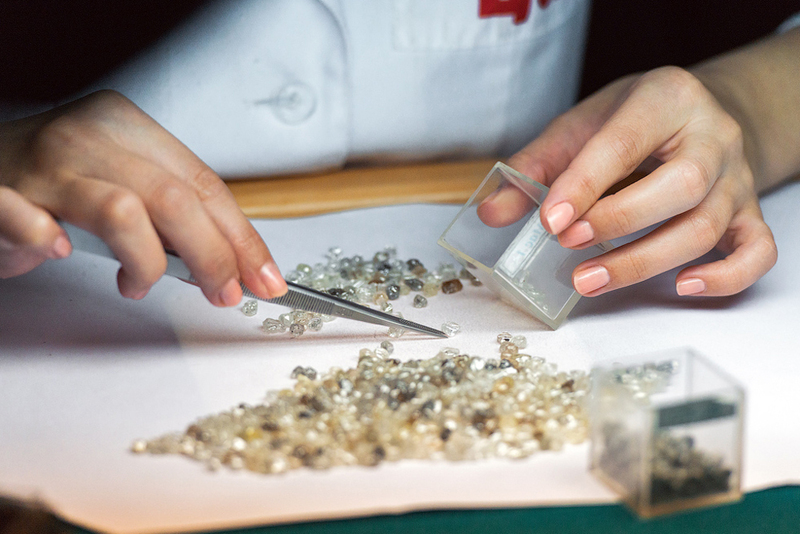 The diamond-cutting enterprise is expected to open in the autumn of 2017. KGK also plans to open a training centre for the staff. The KGK Group also has branches in Moscow and the Russian internal Republic of Yakutia. During his visit to India Trutnev also met Anup Mehta, Managing Director of the Bharat Diamonds Bourse. Mehta poposed to create a joint Indo-Russian venture to extract diamonds at India’s largest discovered mine, which contains 34 million carats (worth $3 billion). Companies from the Bharat Diamonds Bourse are ready to invest $500 million in the joint venture, Mehta told Trutnev last week.